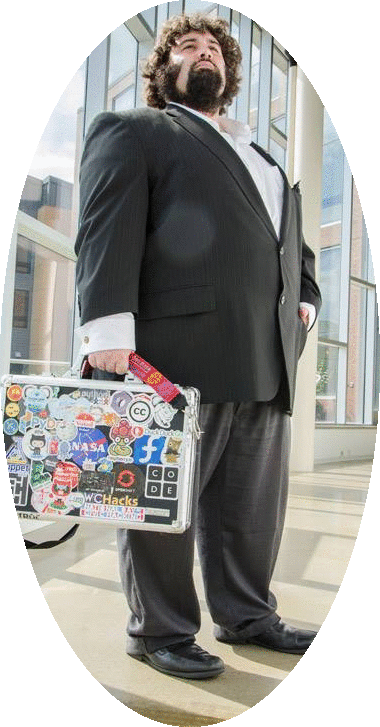 Remy is a FOSS evangelist and Open Source Hacker at Rochester Institute of Technology. He teaches all manner of courses on Open Source Software and Free Culture. His classes include Humanitarian Free and Open Source Software, Advanced Free and Open Source Software, and Legal Aspects of Free Software. "The other day I saw decause shopping at Wegmans like a normal person." "I wish I had a beard like that"
"Decause is the Master of Chairs. At RocPy tonight decause (with the help of threebean) moved around lots of chairs so late comers could sit."